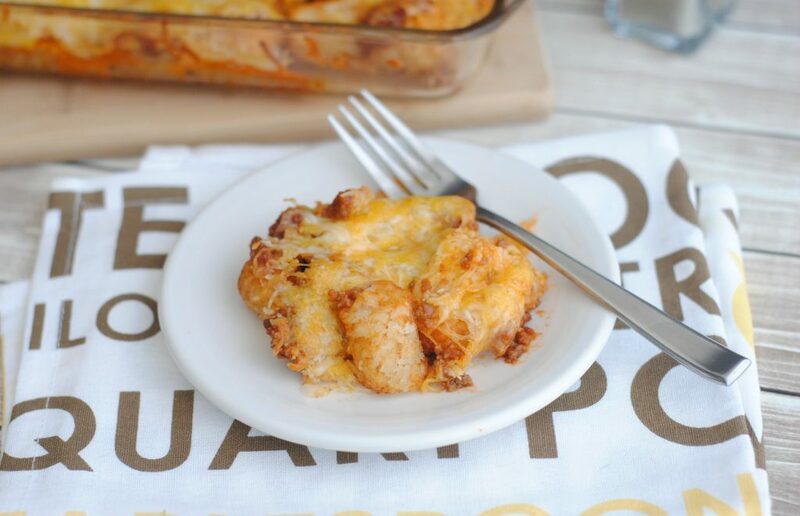 Easy homemade Sloppy Joe Tater Tot Casserole Recipe your family will love! So easy to make! 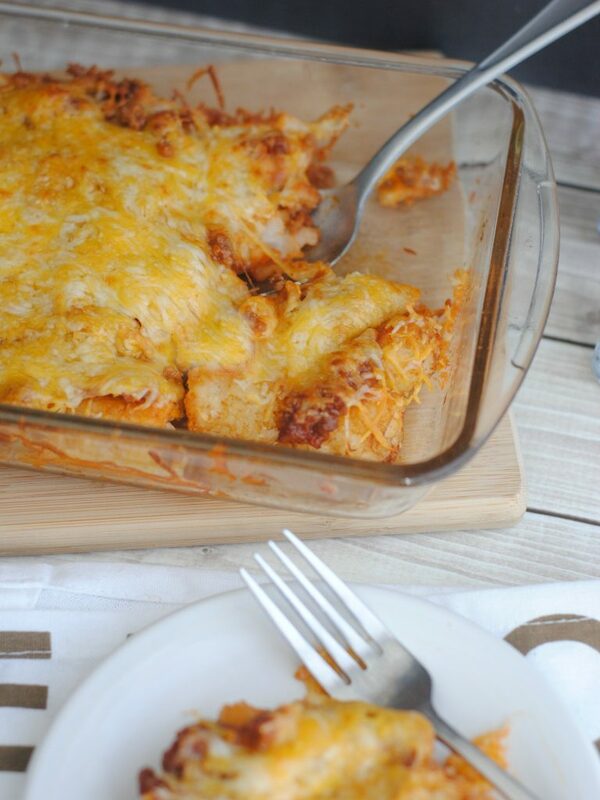 The perfect comfort food made in the oven. I have mentioned before how often Tammilee makes crock pot recipes for Tammilee Tips and shares them. My goal is to make delicious recipes that are easy and taste amazing. 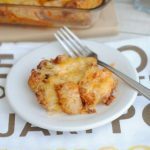 With this Sloppy Joe Tater Tot Casserole Recipe, I was inspired by Tammilee’s Crock Pot Tater Tot Casserole which is a family favorite. I wanted to find a way to make this a bit more rich and hearty or as I like to tease Tammilee…Manly! 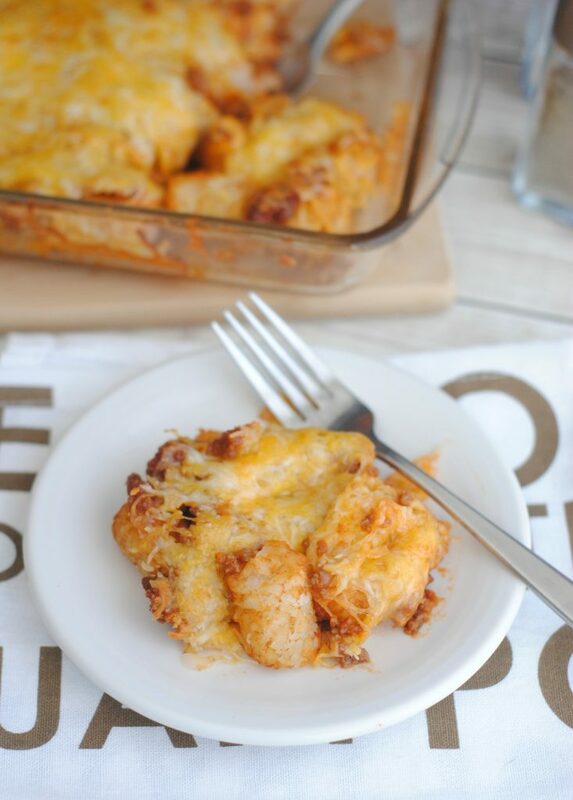 If you love casseroles make sure to check out this Frito Taco Casserole and this Taco Tater Tot Casserole! Preheat the oven to 350 degrees and spray a 9×13 baking pan with non-stick cooking spray. Brown the ground burger along with the diced onion and drain the grease. Add the brown sugar, yellow mustard, and ketchup to the ground beef stirring to combine. Line the bottom of the 9×13 baking pan with tator tots. Evenly spread the sloppy Joe mixture over the top of the tator tots. The tator tot casserole was absolutely delicious!! We didn’t have a speck left!! We added a side salad to our meal which added a lighter refreshing touch to the meal…yum!! !